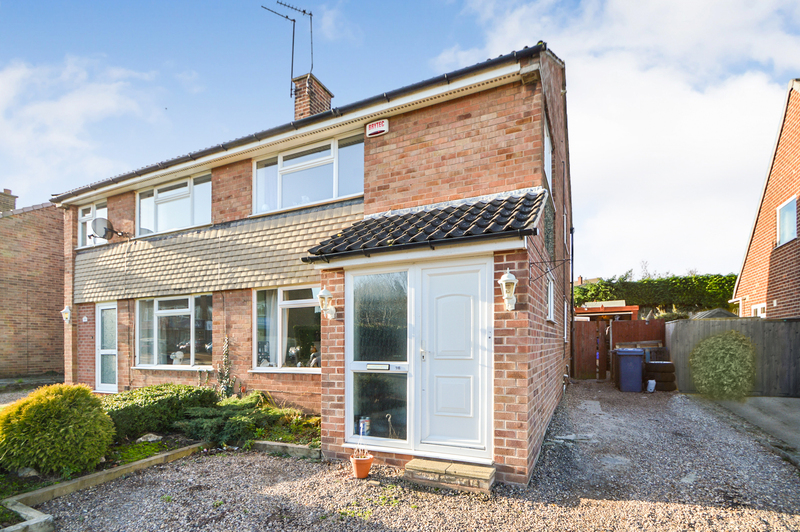 Benjamins are pleased to bring to market this three bedroom semi-detached house located in the highly regarded village of Keyworth on Wolds Drive. benefiting from no chain. In a highly sought after location with many local amenities on your door step. This property would make an ideal purchase for first time buyers, professional couples or families. The accommodation briefly comprises of an entrance porch, living room, kitchen/diner, three bedrooms, bathroom, large conservatory. Outside there is ample off road parking with garage and enclosed garden to the rear. UPVC double glazed door into entrance porch, tiled flooring, space for hanging coats, sensor light and door into living room. UPVC double glazed window to the front aspect & small window to the side aspect, stairs open up to first floor landing, radiator, ceiling light fitting, feature electric fire with marble style hearth backing and ornate timber mantle over, under stairs cupboard with door providing access into the kitchen. Kitchen units with range of storage cupboards and drawers beneath, inset stainless steel sink/drainer unit, built in oven, gas hob with extractor unit over, plumbing for washing machine, tiling to walls, eye level storage units, feature glass block window, laminate style floor covering, radiator, double glazed window and door providing access into the conservatory. UPVC conservatory has double glazed windows, two sets of UPVC double glazed patio doors, tiled floor covering, radiator, lighting and power. Loft inspection hatch, double glazed window to the side aspect and doors to three bedrooms and bathroom. Double glazed window to the front aspect, ceiling light fitting, radiator and carpet. Double glazed window to the rear aspect, storage cupboard, ceiling light fitting, radiator and carpet. Double glazed window to the side aspect, built in bulk head storage cupboard, ceiling light fitting, radiator and carpets. 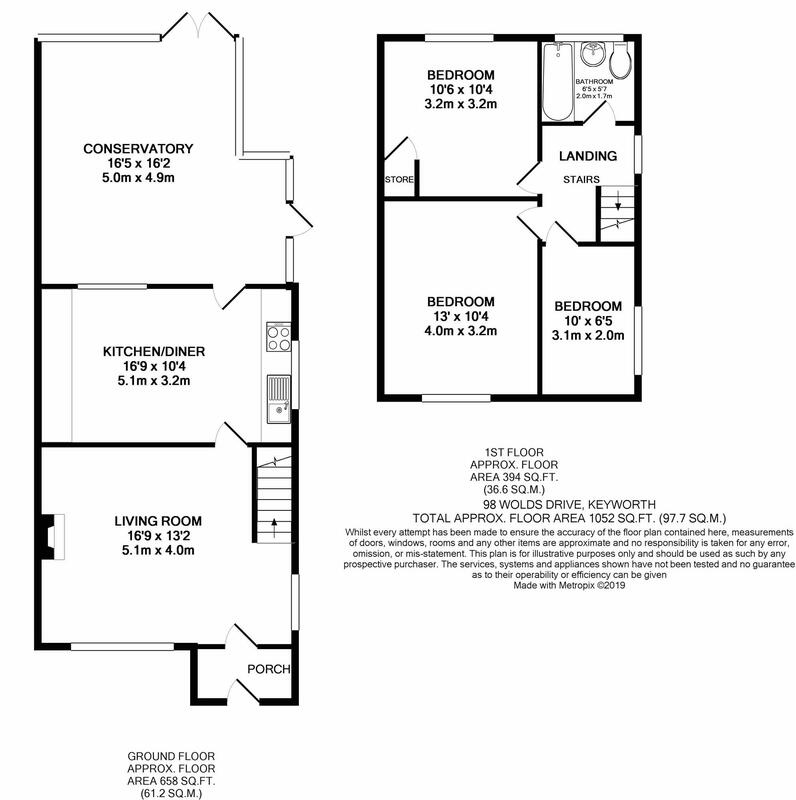 White modern three piece suite comprising panel bath, wall mounted shower, hand wash basin, WC, tiling to walls, heated towel rail and double glazed window to the rear aspect. To the front is a gravel driveway providing off road parking for several vehicles. The rear garden has pathway and gate giving access to detached garage with up and over door, power & lighting. Garden is predominantly laid to lawn with a paved patio/seating and shed area towards the rear.